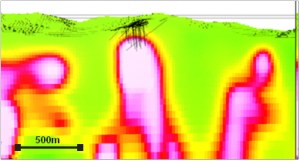 3D inversion of magnetic susceptibility vertical section, north facing, through Mazoa Hill occurrence showing historic drill hole traces (in black). Magnetic susceptibility highs are in yellow and red. 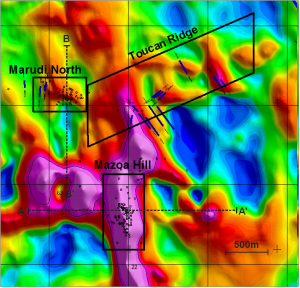 Apparent magnetic susceptibility map of Mazoa Hill, Marudi North occurrences and Toucan Ridge exploration area showing drill hole collars and surface trench location. Magnetic susceptibility highs are shown in purple, red and yellow. VANCOUVER, BC, CANADA, February 28, 2019 /EINPresswire.com/ — Guyana Goldstrike Inc. (TSXV:GYA) (FSE:1ZT) announced it has received the report on geophysical interpretation of the airborne magnetic and radiometric surveys on its Marudi Gold Project located in the Guiana Gold Belt, Guyana, South America. Mr. Peter Berdusco, President and CEO states, “The geophysics interpretation has greatly advanced our understanding of the controls on gold mineralization on the Marudi Gold Project and identifies priority targets to both expand the known mineral resource and discover new occurrences." The geophysical survey confirms the direct correlation at large scale of mineralization at Mazoa Hill with a band of strong magnetic susceptibility. 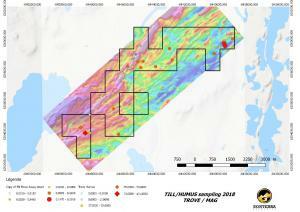 Three types of geophysical targets have been identified for further investigation: along strike and deeper than the known mineralization (Mazoa Hill and Marudi North), to expand the known mineral resource; under the anomalous Au assay results from trenching in the Toucan Ridge exploration area; and numerous magnetic anomalies of similar character across the Property. The targets near the known mineralization from previous drilling and trenching are ready for the next stage of detailed modelling to optimize logistics and trajectories for drilling, whereas targets farther afield would require trenching or shallow drilling to rank prospective targets. VANCOUVER, BRITISH COLUMBIA – February 28, 2019/Amerigo Resources Ltd. (TSX: ARG) (“Amerigo” or the “Company”) is providing an update on expected production for the quarter ending March 31, 2019 (“Q1-2019”) from Minera Valle Central ("MVC"), the Company’s 100% owned operation, located near Rancagua, Chile. On February 25, 2019, MVC received a notification from the Department of Dams, Tailings and Hydraulic Resources of Codelco’s División El Teniente (“DET”) advising of a shutdown of DET’s tailings system during a 144-hour period (6-day period) estimated from March 10 to March 16, 2019 inclusive. DET will be conducting maintenance work in various sections of the entire DET tailings concrete channel during this period. In order to be able to carry out this work, DET will suspend the flow of fresh tailings to MVC’s plant and MVC will be required to suspend production from Cauquenes, as it will not have access to DET’s concrete channel to deposit processed tailings. MVC will require an additional day of suspended operations, for a total estimated suspension of 7 days (the “Maintenance Period”) to restart equipment and normalize processing flow at the MVC plant. Suspension of production from MVC during the Maintenance Period will further affect Q1-2019 production, which was already estimated to be lower than average as MVC’s mine plan presented lower quality Cauquenes material impacting grade and recoveries during the quarter. Amerigo currently estimates Q1-2019 production of 13.5 million pounds of copper. Amerigo will review with MVC potential changes to the production plan for Q2, Q3 and Q4 of 2019 to determine if the Company’s current annual production guidance of 80.0 to 85.0 million pounds of copper can be maintained or will need to be adjusted downward as a result of foregone production during the Maintenance Period. Amerigo Resources Ltd. is an innovative copper producer with a long-term relationship with Corporación Nacional del Cobre de Chile (“Codelco”), the world’s largest copper producer. Inherent in forward-looking statements are risks and uncertainties beyond our ability to predict or control, including risks that may affect our operating or capital plans; risks generally encountered in the permitting and development of mineral projects such as unusual or unexpected geological formations, negotiations with government and other third parties, unanticipated metallurgical difficulties, delays associated with permits, approvals and permit appeals, ground control problems, adverse weather conditions, process upsets and equipment malfunctions; risks associated with labour disturbances and availability of skilled labour and management; fluctuations in the market prices of our principal commodities, which are cyclical and subject to substantial price fluctuations; risks created through competition for mining projects and properties; risks associated with lack of access to markets; risks associated with availability of and our ability to obtain both tailings from DET’s current production and historic tailings from tailings deposit; the availability of and ability of the Company to obtain adequate funding on reasonable terms for expansions and acquisitions; mine plan estimates; risks posed by fluctuations in exchange rates and interest rates, as well as general economic conditions; risks associated with environmental compliance and changes in environmental legislation and regulation; risks associated with our dependence on third parties for the provision of critical services; risks associated with non-performance by contractual counterparties; title risks; social and political risks associated with operations in foreign countries; risks of changes in laws affecting our operations or their interpretation, including foreign exchange controls; and risks associated with tax reassessments and legal proceedings. Many of these risks and uncertainties apply not only to the Company and its operations, but also to Codelco and its operations. Codelco’s ongoing mining operations provide a significant portion of the materials the Company processes and its resulting metals production, therefore these risks and uncertainties may also affect their operations and in turn have a material effect on the Company. VANCOUVER, BC, CANADA, February 26, 2019 /EINPresswire.com/ — AZINCOURT ENERGY CORP. (“Azincourt” or the “Company”) (TSX.V: AAZ, OTC: AZURF), is pleased to announce that all relevant permits for its proposed uranium drill program at the East Preston Project have been received. Crews have now been mobilized in support of the program, with drilling expected to commence before mid-March. The 2019 drill program, with 10-15 holes (2000-2500 meters) planned, will test high priority targets within prospective conductor corridors defined by recent airborne geophysical surveys. 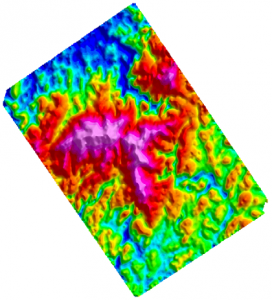 Targets have been refined and prioritized based on encouraging fieldwork results, including coincident anomalies from ground gravity, airborne and ground EM and magnetics (graphitic conductors and structures), radon, soil, biogeochem, lake sediment, and geological mapping surveys. The program’s primary drill target in the Five Island Lake region is considered to be one of the most prospective geological targets on the property. “Exploration work to date on the northern portion of the East Preston ground has generated numerous, high-quality, drill targets, and we’re pleased to begin testing these,” said president & CEO, Alex Klenman. 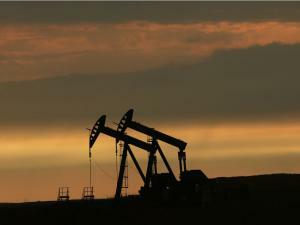 “There is no shortage of well-defined drill targets on the northern half. Now that the entire property has identical airborne geophysical survey coverage, we’re hopeful this ground hosts the same type of quality target inventory that the northern portion of the property contains. We’re pleased to get to the next stage of development at East Preston,” continued Mr. Klenman. The Company is also pleased to report that Geotech Ltd recently completed a helicopter-borne Versatile Time-Domain Electromagnetic (VTEM™ Max) and Magnetic survey over the southeastern portion of the East Preston Project. 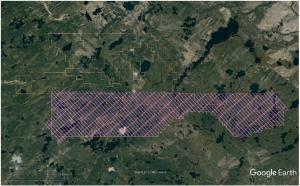 East Preston now has complete survey coverage over the entire project area. The survey consisted of 498 line-km with 300 m line spacing and 1,000 m tie-line spacing – identical parameters to the previous VTEM™ Max survey, and ties directly into the previous flight lines, oriented NW-SE, perpendicular to the NE-SW trending structural and conductor trends of the basement rocks at East Preston. 100% of the East Preston ground has now been subject to VTEM Max survey. Geotech is currently completing data processing prior to passing to Company consultants for in-depth interpretation. This new survey data will be used to add targets for future exploration drill testing and does not affect the current planned drill campaign. Azincourt Energy is a Canadian-based resource company specializing in the strategic acquisition, exploration and development of alternative energy/fuel projects, including uranium, lithium, and other critical clean energy elements. 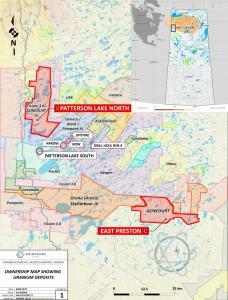 The Company is currently active at its joint venture lithium exploration projects in the Winnipeg River Pegmatite Field, Manitoba, Canada, the East Preston and Patterson Lake North uranium projects in the Athabasca Basin, Saskatchewan, Canada, and the Escalera Group uranium-lithium project located on the Picotani Plateau in southeastern Peru. Oklahoma City, OK: February 25, 2019: State Representative Zack Taylor (R-Seminole) is proposing House Bill 1379, which is a bill that would hold horizontal oil & gas fracking operators responsible for the damage caused by their horizontal frack jobs. The bill will be heard Tuesday, February 26 at 1:30 pm in the House Judiciary Committee. The Corporation Commission currently holds the owner of the vertical well responsible for the pollution being caused by the horizontal frack jobs performed by others. The Oklahoma Energy Producers Alliance supports HB 1379 and is calling the legislation the “Art and Yvonne Platt” bill. 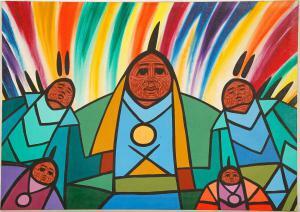 Art and Yvonne are lifelong Oklahomans whose forefathers participated in the Oklahoma Land run. They have now lost everything they have as a result of a horizontal frack job that destroyed their wells. “I’m 80 years old. We were depending on this lease for our retirement. We’ve spent every cent we had trying to fix the damage the horizontal operator inflicted when they fracked into our well,” Art Platt said. Now Art and Yvonne have been forced to leave Oklahoma and move in with their children in Texas. TORONTO, ONTARIO, CANADA, February 22, 2019 /EINPresswire.com/ — As a result of a review by staff of the Ontario Securities Commission, Northern Sphere Mining Corp. (CSE:NSM, OTC:NSMCF) (“Northern Sphere” or the “Company”) wishes to clarify certain disclosure pertaining to the Scadding Property (“Scadding” or the “Project”). The Scadding Property discussed herein refers to a number of mineral exploration claims and leases, located northeast of Sudbury, Ontario. The Company wishes to provide a history on the Project in order to provide clarification on all obligations, including cash payments and net smelter royalties (“NSR”). 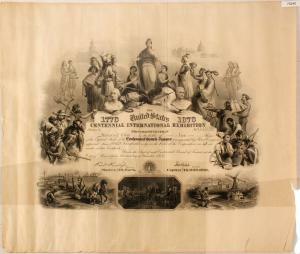 On May 5, 2009, MPE International Inc. (“MPE”) and Currie Rose Resources Inc. (“Currie Rose”) entered into an option and joint venture agreement (the “MPE-CR Agreement”) which was subsequently assigned by MPE to Trueclaim Exploration Inc. (“Trueclaim”) pursuant to an assignment agreement dated May 5, 2009. Under the terms of the MPE-CR Agreement, MPE (or its assigns) earned a 51% interest in certain mineral exploration leases (“Scadding Leases”) comprising a portion of the current Scadding Property. The Agreement further states that anytime after earning the first 51%, MPE (or its assigns) may earn up to 100% interest in the Scadding Leases subject to a payment to Currie Rose of $2,000,000 and a 3% Net Smelter Return. In addition to the acquisition of the Scadding Leases, Trueclaim announced staking of wholly owned mineral exploration claims in the Scadding area on September 15, 2009. On October 15, 2009, Trueclaim entered in to an agreement with Pacific North West Capital to acquire a 100% interest in additional mineral exploration claims upon which Trueclaim granted a 1.5% NSR to Pacific North West Capital. On July 7, 2010, Trueclaim entered into an additional option agreement with an individual landowner to acquire a 100% interest in additional mineral exploration claims in the Scadding area subject to a 2.0% NSR. Trueclaim refers to its interest in these mineral exploration claims along with the Scadding Leases discussed above as the “Scadding Property”. On November 12, 2015, Northern Sphere entered in to a joint venture agreement (the “Trueclaim JV Agreement”) with Trueclaim, pursuant to which Trueclaim granted the Company an 80% interest in Trueclaim’s interest in the Scadding Property (including Trueclaim’s 51% of the Scadding Leases), subject to the obligations and NSR’s committed to by Trueclaim as outlined above. In September of 2018, the Company acquired the remaining 20% of Trueclaim’s interest in the Trueclaim JV Agreement. Northern Sphere is currently the Operator and manages 100% of the Scadding Property. The Company has an option to earn the remaining 49% interest in the Scadding Leases subject to a payment to Currie Rose of $2,000,000 and a 3% Net Smelter Return and may do so if and when it determines that it can begin commercial production on the Scadding Leases and once it would be most advantageous to do so. Northern Sphere is a mineral exploration company focused on the acquisition, exploration and development of primarily gold, copper, and silver properties. For further details on Northern Sphere, please refer to our web site (www.northernsphere.com) and Northern Sphere's Canadian regulatory filings on SEDAR at www.sedar.com. CAUTIONARY STATEMENT: The Canadian Securities Exchange does not accept responsibility for the adequacy or accuracy of this release. No stock exchange, securities commission or other regulatory authority has approved or disapproved the information contained herein. This news release contains forward-looking information, which is not comprised of historical facts. Forward-looking information involves risks, uncertainties and other factors that could cause actual events, results, performance, prospects and opportunities to differ materially from those expressed or implied by such forward-looking information. Forward looking information in this news release includes, but is not limited to, Northern Sphere’s objectives, goals or future plans, statements regarding exploration results, exploration plans and the timing of a potential resource estimate. Factors that could cause actual results to differ materially from such forward-looking information include, but are not limited to, uncertainties inherent to preparing a resource estimate within expected timeline, capital and operating costs varying significantly from estimates, the preliminary nature of metallurgical test results, delays in obtaining or failures to obtain required governmental, environmental or other project approvals, political risks, uncertainties relating to the availability and costs of financing needed in the future, changes in equity markets, inflation, changes in exchange rates, fluctuations in commodity prices, delays in the development of projects and the other risks involved in the mineral exploration and development industry, and those risks set out in Northern Sphere’s public documents filed on SEDAR. Although Northern Sphere believes that the assumptions and factors used in preparing the forward-looking information in this news release are reasonable, undue reliance should not be placed on such information, which only applies as of the date of this press release, and no assurance can be given that such events will occur in the disclosed time frames or at all. Northern Sphere disclaims any intention or obligation to update or revise any forward-looking information, whether as a result of new information, future events or otherwise, other than as required by law. We seek safe harbour. IRVINE, CA, US, February 21, 2019 /EINPresswire.com/ — ETAP announced today that Steve Wozniak will be the featured guest speaker at this year’s ETAP Global Conference. As a Silicon Valley icon, electrical engineer, computer scientist and philanthropist for more than thirty years, Steve will share his insight into ambitious and pioneering work with Steve Jobs in founding Apple Computer Inc. and how Wozniak’s Apple I and II personal computer shaped the world of the way we use computers today. Steve’s engaging and inspirational story in the field of computer science and electrical engineering resonates with ETAP’s customers and users from across all industries. Taking place on the 8th-10th of April 2019, in the Marriott Hotel, Newport Beach, California, USA, the ETAP Global User Conference is the company’s premier customer conference. The event provides a unique opportunity to learn about electrical power system engineering and operation as well as get first hand presentation on new developments at ETAP. 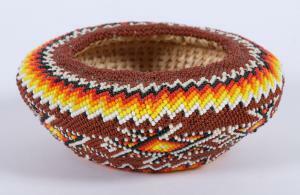 Customers wishing to attend the Conference can view the event agenda and register at etap.com/uc19. VANCOUVER, BRITISH COLUMBIA – February 21, 2019/Amerigo Resources Ltd. (TSX: ARG) (“Amerigo” or the “Company”) is pleased to announce financial results for the year 2018. The Company’s 100% owned operation, Minera Valle Central ("MVC") located near Rancagua, Chile met annual copper production guidance of 65.0 million pounds at an annual cash cost of $1.56 per pound (“/lb”). Molybdenum production of 1.9 million pounds was stronger than guidance. Amerigo’s annual net income was $10.5 million or $0.06 earnings per share (“EPS”). Cash generated from operations was $27.8 million and $27.2 million before and after changes in working capital, respectively. The Company’s cash position at year end was $21.3 million. “MVC had an outstanding year. They reduced cash cost, increased profits and cash flows, and most importantly completed the installation of the new plant enabling significantly higher copper production. The fundamentals for the copper market remain strong with demand exceeding supply, and I believe that once trade tensions between the United States and China are resolved, the copper price will increase.”, said Rob Henderson, Amerigo’s President and CEO. In Q4-2018, the Company produced 18.5 million pounds of copper and 0.6 million pounds of molybdenum, at a cash cost of $1.45/lb. Net income in the quarter was $5.1 million ($0.03 EPS). Cash generated from operations was $9.2 million and $7.8 million before and after changes in working capital, respectively. •	Net income was $10.5 million (2017: $8.0 million). •	EPS were $0.06 basic and diluted (2017: $0.05 basic and $0.04 diluted). •	Cash flow generated from operations before changes in non-cash working capital was $27.8 million (2017: $26.4 million). •	MVC’s copper price was $2.92/lb (2017: $2.83/lb) and MVC’s molybdenum price was $11.84/lb (2017: $8.20/lb). •	Revenue was $136.8 million (2017: $134.0 million), including copper tolling revenue of $118.4 million (2017: $119.5 million) and molybdenum and other revenue of $18.4 million (2017: $14.5 million). •	Copper tolling revenue is calculated from MVC’s gross value of copper produced of $188.6 million (2017: $172.7 million) and fair value adjustments to settlement receivables of ($5.3 million) (2017: $7.1 million), less notional items including DET royalties of $41.1 million (2017: $36.4 million), smelting and refining of $21.5 million (Q3-2017: $21.7 million) and transportation of $2.2 million (2017: $2.2 million). •	MVC’s financial performance is very sensitive to changes in copper prices. MVC’s Q4-2018 provisional copper price was $2.77/lb, and final prices will be the average London Metal Exchange prices for January, February and March 2019. A 10% increase or decrease from the $2.77/lb provisional price used at December 31, 2018 would result in a $4.9 million change in revenue in 2019 in respect of 2018 production. •	Annual copper production of 65 million pounds (2017: 62.5 million pounds) included 43.7 million pounds from Cauquenes (2017: 39.3 million pounds) and 21.3 million pounds from fresh tailings in 2018 (2017: 21.8 million pounds). In 2017, 1.5 million pounds of copper were also produced through a tolling agreement with Minera Maricunga that expired that year. •	Molybdenum production was 1.9 million pounds (2017: 1.6 million pounds). •	Cash cost (a non-GAAP measure equal to the aggregate of smelting and refining charges, tolling/production costs net of inventory adjustments and administration costs, net of by-product credits) decreased to $1.56/lb (2017: $1.64/lb). •	Total cost (a non-GAAP measure equal to the aggregate of cash cost, DET notional copper royalties and DET molybdenum royalties of $0.68/lb and depreciation of $0.23/lb) decreased to $2.47/lb (2017: $2.50/lb), due to lower cash cost. •	MVC’s new rougher flotation cells started to produce concentrates on August 20, 2018 and the new cleaner flotation circuit came on-line on October 12, 2018. Installation of a regrind mill, originally part of the Phase Two expansion, is estimated to be completed in June 2019. •	The 60-day production test required under the Cauquenes expansion finance loan was completed on December 21, 2018. MVC is now ramping up to full capacity and the project’s $1.5 million concentrate regrind mill is expected to be installed in June 2019. •	The Phase Two capital expenditure (“Capex”) is estimated at $39.9 million -including the regrind mill-compared to budget of $35.3 million, primarily due to a 9.3% appreciation of the Chilean peso during the construction period compared to budget, and additional equipment installed during commissioning. Remaining Phase Two Capex payments of $3.1 million will be made in 2019. •	MVC also expanded its molybdenum plant in order to process the additional molybdenum available from the Cauquenes expansion. The molybdenum plant expansion had a cost of approximately $7.8 million and was financed through a 5-year capital lease agreement. •	In 2019, the Company expects to produce 80 to 85 million pounds of copper at a cash cost of $1.30 to $1.45/lb, and production of 2.5 million pounds of molybdenum. In Q1-2019, production will be lower than average and cash cost will be higher than average as MVC’s mine plan extracts lower quality material from Cauquenes, further affected by a longer than expected annual maintenance shutdown. •	In 2019, MVC expects to incur $5.8 million in sustaining Capex. •	At December 31, 2018, the Company’s cash balance was $21.3 million. •	The Company had a $16.9 million working capital deficiency, caused by $22.5 million in scheduled bank debt repayments in the following twelve months. •	Amerigo does not consider that its working capital deficiency constitutes a significant liquidity risk, as it anticipates generating operating cash flow to meet current liabilities as they come due, assuming copper prices remain at levels above $2.70/lb. 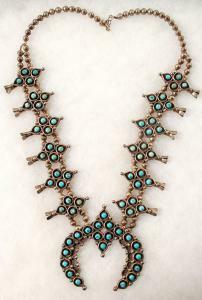 •	Borrowings at year end were $66.2 million. In 2018 MVC received debt proceeds of $23.3 million which were used in the Cauquenes Phase Two Expansion. MVC also made debt repayments of $19.7 million on the Phase One expansion loan and on a loan with Codelco’s Division El Teniente which was fully repaid in the year. Amerigo’s quarterly investor conference call will take place on Friday February 22, 2019 at 11:00 am Pacific Standard Time/2:00 pm Eastern Standard Time. To join the call, please dial 1-800-273-9672 (Toll-Free North America) and let the operator know you wish to participate in the Amerigo Resources conference call. The information and data contained in this news release should be read in conjunction with the Company’s Audited Consolidated Financial Statements and Management’s Discussion and Analysis (“MD&A) for the years ended December 31, 2018 and 2017, available at the Company’s website at www.amerigoresources.com and at www.sedar.com. 1	Copper production conducted under a tolling agreement with DET. 4 At December 31, 2018 includes short and long-term portions of $23.5 and $42.7 million, respectively. 5	MVC’s copper price is the average notional copper price for the period, before smelting and refining, DET notional copper royalties, transportation costs and settlement adjustments to prior period sales. LIMA, LIMA, PERU, February 20, 2019 /EINPresswire.com/ — Transmin Metallurgical Consultants (Transmin) announced today that Cancha geometallurgy software is now available for licensing.